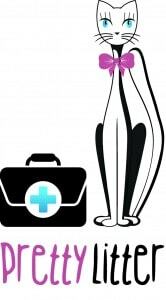 Pretty Litter is a new low-cost, lightweight litter that can detect common feline health issues early. This scoopable and flushable litter is dust-free and eco-friendly. Pretty Litter is currently in development. They are researching advanced features to provide the most comprehensive disease detection litter product on the market. Once the product is formulated, it should include detection of urinary anomalies, toxoplasma gondii, diabetes and more. The litter ships in 3 pound bags directly to your door. One bag will last an entire month for one cat. 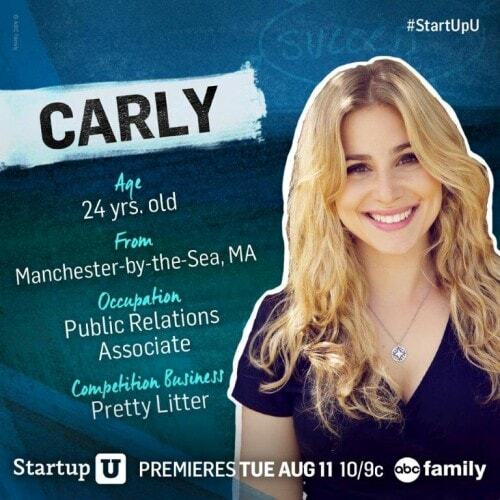 Pretty Litter is the brainchild of Carly Martinetti, the star of ABC Family’s new reality show, Startup U, now airing on Thursdays at 5:00 P.M. Eastern/4:00 P.M. Central. “Through Startup U, I was able to collaborate with chemists, marketers and successful entrepreneurs, who have given me and my team the resources to create this innovative product,” said Carly. 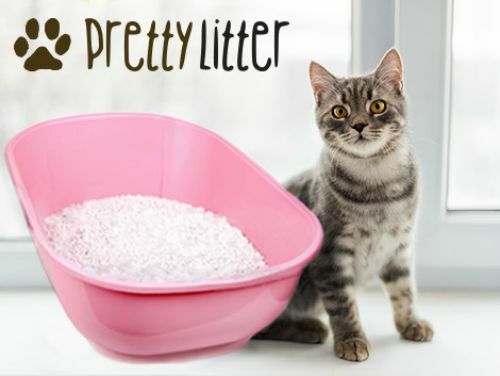 Please visit the newly launched Pretty Litter website to sign up to participate in Pretty Litter’s upcoming Kickstarter campaign, going live in mid-September. The Kickstarter campaign will seek funding to bring this innovative diagnostic cat litter to market. By signing up, you will also receive exclusive discounts. You can also find Pretty Litter on Facebook and Twitter. FTC Disclosure: This post is sponsored by Pretty Litter, which means that I was compensated to feature this content. Regardless of payment received, you will only see products or services featured on this site that we believe are of interest to our readers. What does it check for? Do cats find it easy to switch to it? Should it be mixed with current cat litter? My friend who has foster cats tried something like this (but I don’t remember the brand). She said she found it to show one of her cats had a problem. But having rescue cats, it was hard to narrow it down to which one it was at first. She had to keep watching kitties when they pottied until she found the sick one. Sounds like a great product. If it really helps with diagnostics, that will hopefully help things like kidney disease get diagnosed earlier, leading to longer and happier lives for cats. I would caution people not to flush litter down the toilet. Not only does it clog up older pipes, I checked with our local Sewer utility, and they don’t treat the water for bacteria from cats and dogs. Also, it’s not good for Otters. Agree with you! This kind of litter doesn’t decomposed.